‘Walden’ is basically Thoreau’s journal, but instead of recording his thoughts and experiences for himself, he wrote to edify his audience— and it worked. The highest praise I can give an author is that his or her book changed something. ‘Walden’ didn’t change the state of the world, but it did change the way I thought about a few things. As I read the book, I became more and more envious of Thoreau’s minimalism. Tired of “needing” things that aren’t necessary at all, I gave up coffee and cigarettes. 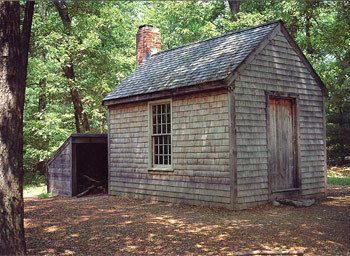 I thought I’d be bored by ‘Walden.’ I doubted Thoreau could have much to say about living alone in a one-room cabin. Instead, I was pretty deeply inspired by the lifestyle he presented in this memoir. Henry David Thoreau really lived, really noticed things instead of taking them for granted. He wasn’t compelled to live at a breakneck pace, didn’t try to impress anyone, and wasn’t inclined to materialism. That’s a lifestyle that I want to emulate.